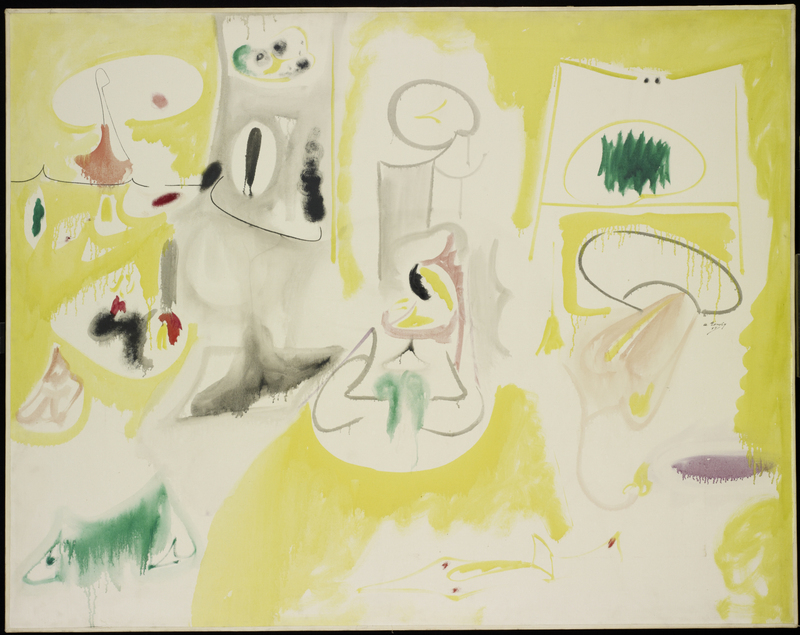 "Ardent Nature" features the late paintings and drawings made by Arshile Gorky during summer months spent at his in-laws' farm. Combining the experience of the pastoral Virginia landscape with imagery developed from the memory of his Georgian homeland, Gorky opened a flood of new associations that appear to tumble forth from works of this period. Gorky drew with a kind of stenography, influenced by his friend Roberto Matta, to express delicate yet passionate emotions that would have eluded the latter artist. These works are populated by mythological creations stemming from Gorky's imagination, and employ saturated colors, or color washes on white ground, to create light. The title of Anti-Medusa (1947) may be a clue about the subject matter that fueled this enigmatic painter. Works from this time are characterized by a richness and depth that is unparalleled in Gorky's own career, and perhaps in the history of abstract painting.